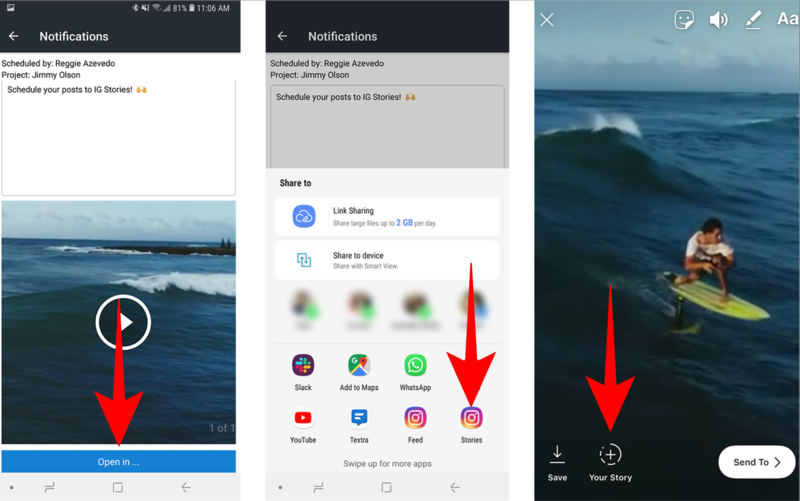 Social Report helps you schedule Instagram stories posts by providing several notification based posting options. We have a Social Report app (iOS and Android) that you can install to your smartphone and Social Report will send notifications from the app when it's time to post. You can send the notification via SMS which includes a link to download the media. You can also send it to your email which includes the media as an attachment that you can download and post to Instagram. Check out our guide on notification based scheduling options.